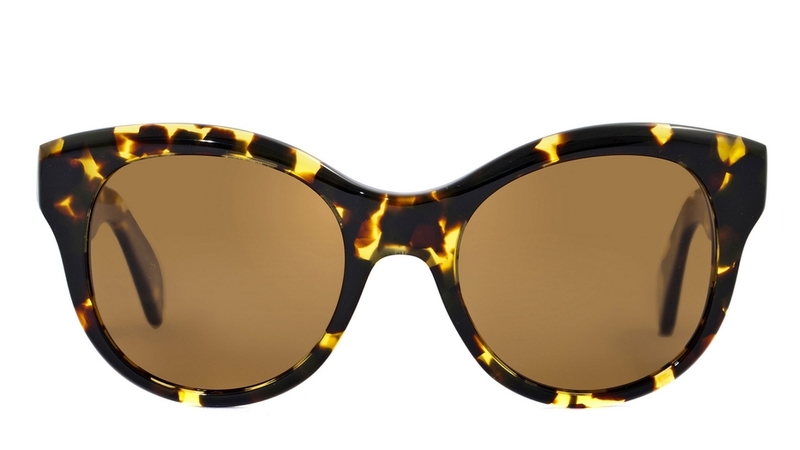 1155/83 - Dark tortoise frame and brown polarized lenses with a back-surface anti-reflection coating. The Oliver Peoples Jacey OV 5234 is a ladies acetate designer sunglass that has a 1950's retro feel about it with a modern twist of being oversized. Minimal logo apart from the end tips of the arms. The Oliver Peoples Jacey OV 5234 come with their own branded case, cloth and packaging, and are covered by the 12 month no quibble Sendoptics guarantee. 1005/9A - Black frame and grey polarized lenses with a back surface anti-reflection coating. Brown tortoise frame with graduated brown lenses and a back surface anti-reflection coating.